Hi, I’m looking for a new home for my dog , "Emma". Emma is just 3 months old, very active and healthy. I’m so sad to let her go, but I’m moving to my field job and won’t be able to take her with me. 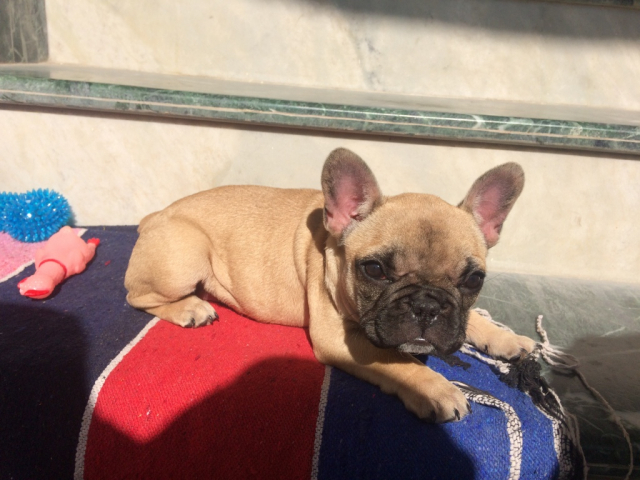 Emma is just 3 months old and very active and intelligent and likes to play. She needs to be walked daily after each meal. Stick to Royal Canin (starter) food only. Deworming, Vaccination and multivitamins has been given and maintained her health card.